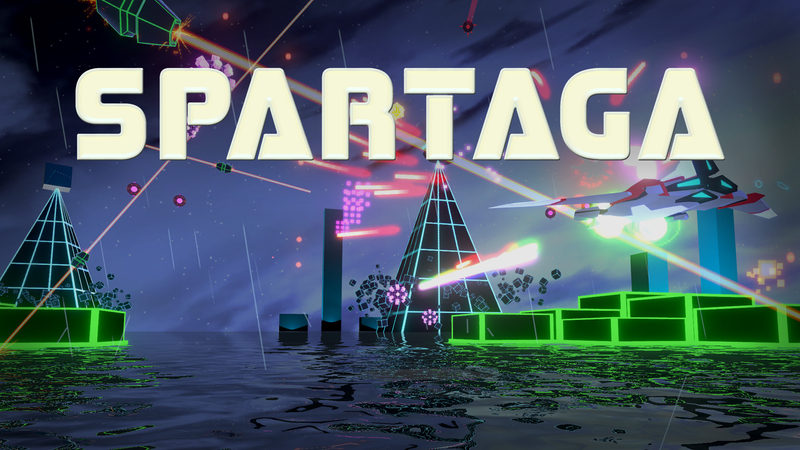 Spartaga is a VR Bullet-Hell action arcade game! Jump into a classic arcade game re-imagined for Virtual Reality. Spartaga's combat gameplay, intuitive controls, challenging enemies, and arcade atmosphere will immerse you in the action. A game of fast reactions, skill, and consistent battles so you can achieve mastery! VR motion controls turn your hand into a starfighter, letting you pull off split second dodges and powerful attacks just by moving your arm. Intuitive controls- Your controller is your starfighter! Dodge and shoot effortlessly. In addition to the pulse thumping retro soundtrack, take a breather and play in Carbon Mode. We’ve partnered with Carbon Based Lifeforms, one of the world’s most popular ambient electronica artists. CBL is a duo from Sweden, providing an alternative music set to help you get into a meditative combat flow. The goal of CBL is “to combine earth and space in fine-tuned, but still solid, music visions, seldom forgetting the irreplaceable.” Seems right!